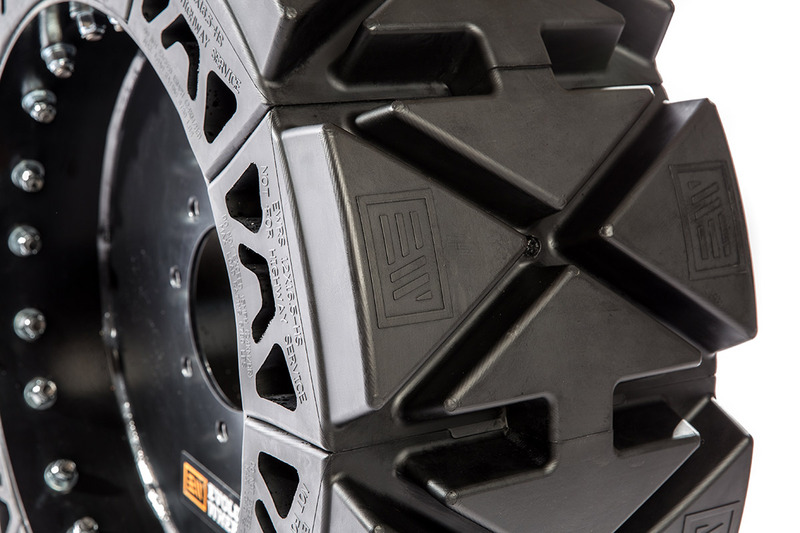 The EWRS-HS product series of hard surface skid steer tires were designed to meet the needs of severe duty customers working on hard surfaces and burning through tires on a daily basis. 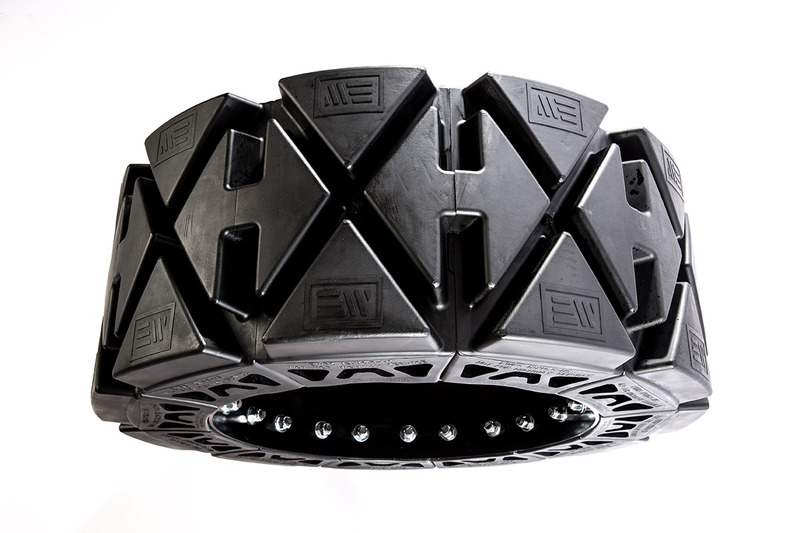 By creating a unique tread design that increases surface area in contact with the ground, our EWRS-HS product series provides unmatched wear life on concrete and asphalt surfaces. 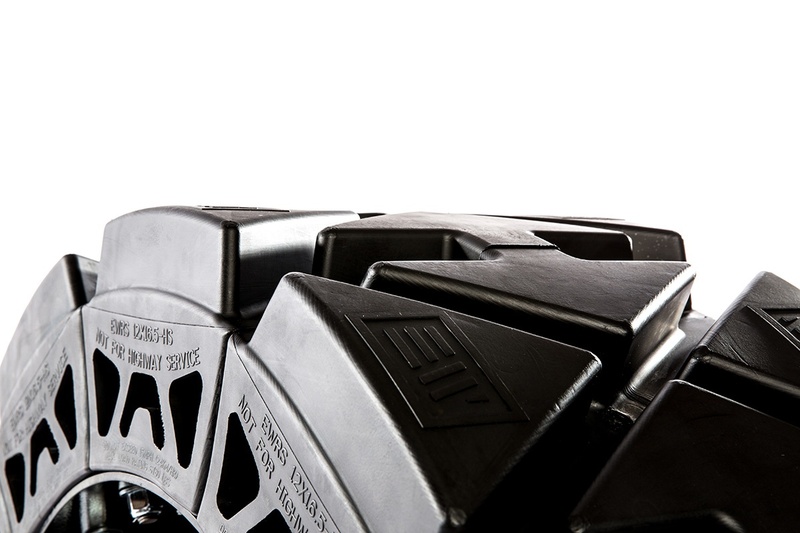 Customers can expect a 30-40% increase in wear life over our ERWS-AT series product line, further reducing cost/hr and increasing their machine ROI's. 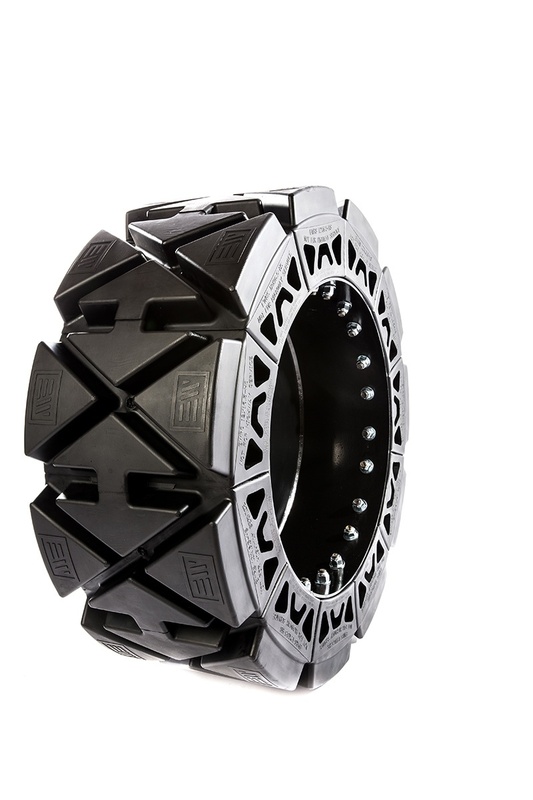 Tread pattern is one thing but tread depth is another! 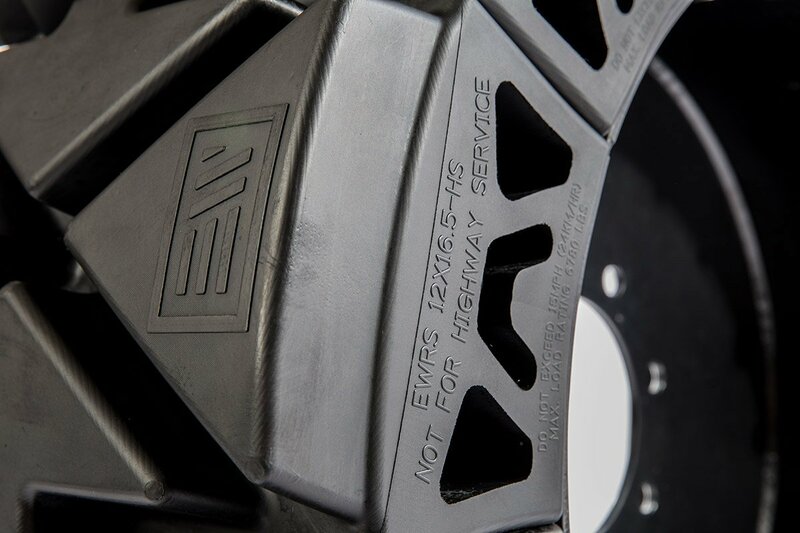 To make the new EWRS-HS product series meet the Evolution Wheel standard we gave it the most tread depth of any hard surface tire on the market. 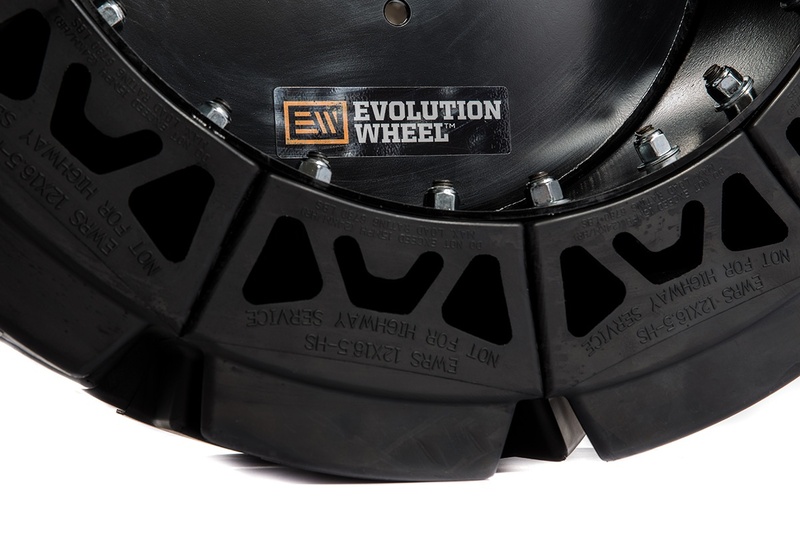 By maintaining a 52/32nd tread depth, Evolution Wheel is raising the bar in hard surface applications. 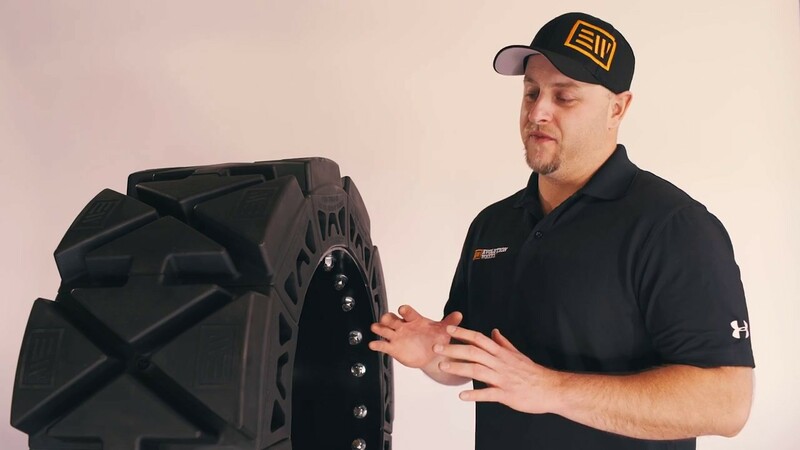 With serviceable tire sections the need for a service truck, specialized technicians and press on machines is all but eliminated. 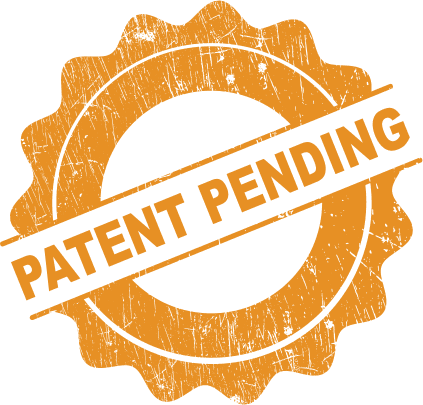 We have reduced your service tooling down to only a 3/4" wrench in your operator's back pocket and repair parts are readily available at your nearest onsite storage container or in the toolbox of your pickup.